GROM Audio develops and builds high-quality in-car audio integration systems. As one of the industry's leading manufacturers, GROM takes pride in delivering superior products to satisfy customers. Providing users with a variety of car integration kits which support mobile devices such as Android® smartphones, tablets, iPhone®/iPod®, MP3 players and USB mass storage devices—GROM Audio helps drivers enjoy their own music library regardless of the limitation of their factory car stereo. In early 2012, GROM announced a new product launch in the Android market -- Direct Android® Integration to In-Car Audio – Which Transforms Android Devices into Car Media Center. GROM is the first and the only in the market to deliver Direct Connection to Android. To compliment direct Android connection, we have developed advanced media player app AALinQ specifically for in-car use. Enjoy the Android in car audio experience with AALinQ. No advertising, advance search options, large graphics suitable for in-car use, dynamic playlist from any folders and other features. With a passion for music and simplicity, GROM Audio seeks to create products which make enjoying life that much easier. Understanding the impact music has on people's lives our company is constantly working to improve our current products and develop new products at an affordable price. Wherever you drive - bring your favorite tunes along with you! Our company develops, builds and manufactures a variety of quality audio listening products which are designed to connect with ease. Currently, GROM supports more than 30 car makes, including BMW, Mercedes Benz and Volvo with MOST® Transport opto-fiber technology. GROM creates products that integrate Bluetooth technology for hands free calling and wireless audio. Our flagship GROM-USB PLUS and GROM-MST3 PLUS Car Kits support a broad selection of Smartphones, including Android phones and iPhones®, MP3 players, USB mass storage, Samsung® and Google® phones, and Tablets. Today when environmental impact is critical in preserving our planet, it is important that everyone create as little waste as possible. Therefore our motto "Get only what you use" applies to all aspects of our business including our simple packaging and the equipment we provide to our customers. We supply consumers with only the cables and accessories necessary in installation, this is to avoid giving you something you did not need and did not want to pay for. 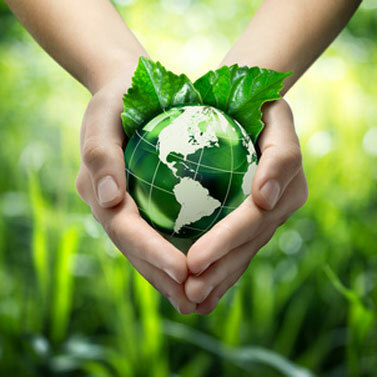 As we strive to help prevent waste, Carputer-Shop asks all customers to return any equipment you are no longer using so we can RECYCLE it properly in our effort to keep our planet as clean as possible.